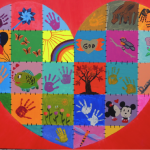 Mission Statement: To break the cycle of child abuse through community education, training and prevention and to allow the child opportunities for healing through intervention in a child sensitive environment. The Children’s Advocacy Center of Laredo-Webb County is a non-profit organization that provides a wealth of critical services, such as community education, prevention and intervention programs, as well as treatment services to fight and eradicate child abuse and neglect. It is the only organization that provides these unique services in our community. Provide individual, family & group counseling sessions to the child victims & their non-offending family members who have suffered as a result of sexual abuse, physical abuse, neglect and/or domestic violence. Provide community presentations and trainings on topics focused on child abuse & neglect. It is in the provision of counseling therapy for our child victims and their non-offending families that the Lamar Bruni Vergara Trust has proven to be our most devoted and faithful friend, enabling us years ago to grow our capacity to provide therapy to our children, via funding that enabled us to add a second therapist to our CAC team. Five hundred and thirty six (536) children & non-offending family members counseled. Two thousand nine hundred & twenty eight (2928) actual counseling hours offered. 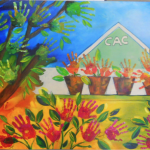 The Lamar Bruni Vergara Trust was the first donor to fund this essential CAC program and it continues to maintain that lead as the community friend that enables us to both sustain and grow this life-changing CAC service.